The great state of Alaska is known primarily for its beautiful landscapes, its proximity to Russia and Mayor Stubbs, the feline leader of Talkeetna. The Last Frontier is also home to the sixth-lowest poverty rate in the United States, and while that is generally a good thing for residents, it still means that more than 70,000 people in Alaska are having trouble making ends meet. Additionally, Alaska was forecasted to lose 7,500 jobs in 2017, which amounts to about 2.3% of all jobs in the state, so it’s only getting tougher for Alaska residents to find work and provide for themselves and their families. For those Alaskans experiencing financial hardship, payday and title loans may seem like a simple, short-term solution to help them get by. But the risks often outweigh the rewards. In fact, taking out a payday loan or a title loan in Alaska could have a serious impact on your long-term financial goals. Everyday Alaskans deserve to have the tools and resources they need to make smart financial decisions without resorting to payday and title loans. A payday loan is a short-term, high-risk loan typically for smaller amounts of money. Each state has a different cap on how much people can borrow with this type of loan. Payday loans are legal in Alaska per statue code 06.50.010 et seq. The maximum amount a payday lender in Alaska can lend is $500, and the origination fee, which is a fee charged to initiate a loan, cannot exceed $5. Additionally, lenders cannot charge fees of more than $15 per $100 borrowed, or 15 percent of the total loan – whichever is less. The maximum payday loan term is 2 weeks. While Alaska doesn’t have a lot storefront locations for payday lending, 45 percent of people who took out payday loans in Alaska did so through online vendors. Just because you can get a deal online without traveling to a physical location doesn’t mean the payday loan is less risky. If you need to take out a loan online, there are many better options with lower interest rates and better terms that can fulfill your long-term or short-term financial needs. The state updated laws around deferred deposit advance loans in 2010, further defining the requirements for licensing, requiring each physical location where these loans are made to have a license. It also expanded reporting requirements on the number of loans made by each licensee, the average amount of the loan and other key data points. Each licensed payday loan provider in Alaska must not only give the borrower a copy of the terms of the loan, but must also provide a disclosure statement that says the loan is meant to address short-term, not long-term financial needs, an explanation of all fees associated with the advance and any subsequent renewals and materials to help the borrower understand all potential risks associated with such loans. In 2016, for the first time in history, the Consumer Financial Protection Bureau rolled out proposed federal-level regulations for payday lending, adding rules that stated lenders must have reasonable evidence that the borrower has the ability to repay the loan. The regulations also restricted the number of rollovers or renewals on payday loans and required lenders to notify borrowers when they withdraw funds from the borrower’s bank account. The Dodd-Frank Act legislation enacted in 2010, along with the Consumer Financial Protection Bureau, recognize that state, local and tribal authorities may overlap or add on to the federal-level rules and regulations set forth by the Act and the Bureau. Alaska’s state regulations of payday lending are considered more robust than those of other states. 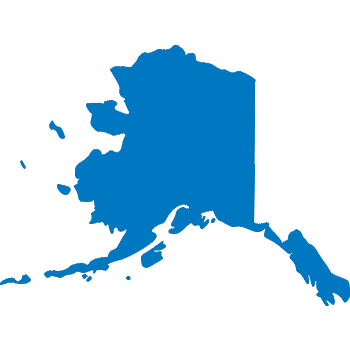 Requirements for payday lending in Alaska include more set APRs, maximum loan amounts and renewal options. In December 2017, a joint resolution was introduced under the Congressional Review Act to reevaluate and reexamine the Consumer Financial Protection Bureau’s final payday lending rules, which were initially issued in October 2017. Consumers should be aware of their state regulations, which are separate from the Consumer Financial Protection Bureau’s rules, in case those rules are overturned. Residents of Alaska’s less populated areas, where finding reputable lending services like banks and credit unions may be difficult, can look online to find short-term loan options that are less risky than payday lenders. Understanding the differences between loan types can help you make smart financial choices that suit your needs. Alaska does not specifically permit title loan lenders to operate within the state. However, per Alaska’s small loan law for any loan under $25,000, APR would be capped at 42.5 percent, and no law exempts title lenders from this cap. The state also does not allow lenders to structure the loan as an “open-ended credit agreements” to subvert the APR cap. Still, a quick Google search will yield many results for car title loan options in Alaska. And while you may think these look like a more secure option for obtaining quick cash, failure to repay a title loan in Alaska could result in not only a lower credit score, but also in your car being repossessed. Imagine having even worse credit AND no access to transportation – it’s probably not worth the risk. The Federal Trade Commission strongly advises against car title loans – which are also referred to as “pink slip loans,” “title pledges” or “title pawns” – because they can be just as expensive, risky and damaging as other forms of predatory lending. Some title lenders even require you to place a GPS tracker on your car, so they can track it for repossession if you can’t repay your loan. Sure, using your vehicle as collateral can get you a bigger up-front loan than you could get from a payday lender, but the average title loan borrower pays more than twice what a payday loan borrower would pay in fees. The biggest risk is losing your vehicle, which can impact your ability to get to work. If you can’t work, chances are that your ability to repay any of your debts is going to be severely limited. As with any loan, you need to make sure you carefully review the terms and make sure the lender is licensed to distribute the kind of loan they’re offering in your state before signing anything. Title loans and payday loans are regulated at the federal level by the same rules set by the Consumer Financial Protection Bureau, which were enacted in October 2017. A typical title loan comes with a 300 percent APR, must be repaid within a month and is usually issued for much less than the actual value of the car. Title loan borrowers risk repossession if they cannot repay the loan, and the loans are issued without regard for the borrower’s ability to repay. You may think payday or title loans are your only option if you have bad credit; however, there are reputable lenders who can help you explore other options, such as installment loans or “no credit check” loans. The Alaska Consumer Protection Act outlines examples of illegal conduct: using deception in the sale of goods and services or misrepresenting benefits or characteristics of a good or service. The Attorney General of Alaska reviews all consumer complaints and can help stop illegal conduct, assist consumers and businesses with recovery of damages between $1,000 and $25,000 or beyond and other relief. If you are a victim of predatory lending or feel that a lender isn’t following Alaska’s regulations on lending, you can get support from state agencies and nonprofits. If you feel a lender has violated Alaska usury laws, you have rights to recover funds that may have been unlawfully collected. There are many state and national resources to help you if you are a victim of predatory lending. QUICK FACT: What are usury laws? Usury laws are laws that regulate the amount of interest that can be charged on a loan. Usury laws are set by individual states within the United States. Call for Action – A national network of volunteers assisting consumers with filing complaints and avoiding scams. Call for Action coordinates with local, state and federal agencies. 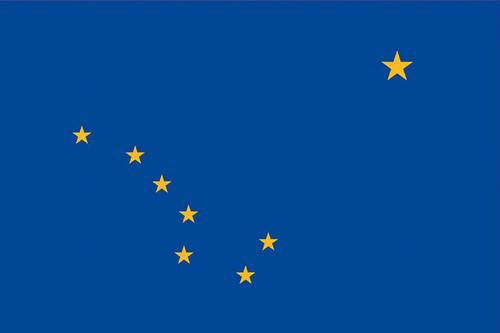 Alaska posts current consumer alerts relating to fraud and scams online, including the current status of consumer protection lawsuits such as one recently settled lawsuit involving refunds on fraudulent Western Union transactions that hurt Alaska consumers.